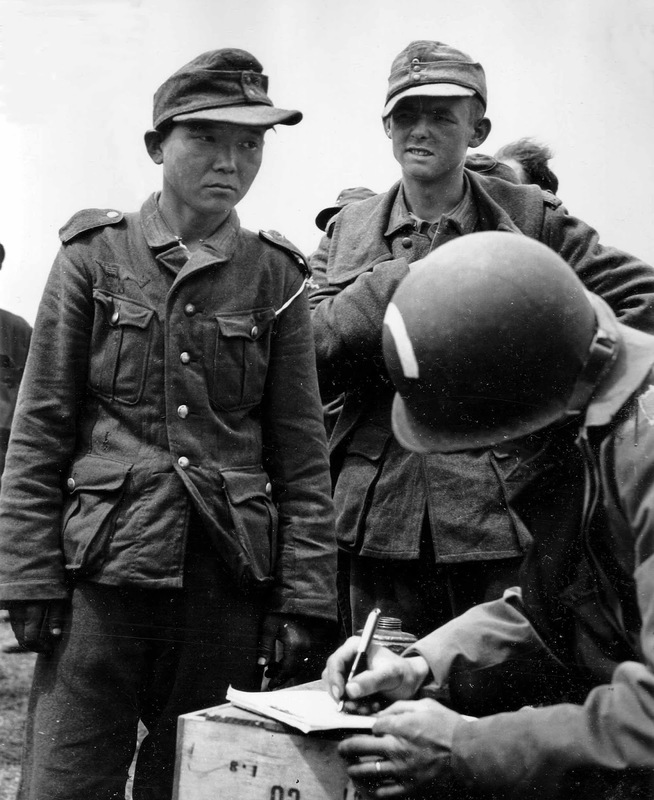 Yang Kyoungjong, a Korean who is the only known man to have fought in the Imperial Japanese Army, the Soviet Army and the German Wehrmacht after his capture by the Americans on Utah Beach. June, 1944. He was Korean – captured by the Japanese and pressed to fight the Soviets, captured by the Soviets and pressed to fight the Germans, captured by the Germans and pressed to defend Normandy, where he was captured by the Americans. This is the story of Yang Kyoungjong, the only known soldier to fight on three sides of a war. Little is known about Yang’s life prior to his service in WW2 other than that he was a native Korean who happened to be living in Japanese controlled Manchuria at the start of WW2. Due to this, Yang found himself conscripted against his will in 1938 and forced to serve in the Kwantung Army at just 18 years old. During the Battles of Khalkhin Gol, he was captured by the Soviet Red Army and sent to a labour camp. Because of the manpower shortages faced by the Soviets in its fight against Nazi Germany, in 1942 he was pressed into fighting in the Red Army along with thousands of other prisoners. Yang’s service with the Soviets lasted about a year, during which time he took place in numerous engagements along the Eastern Front, most notably the Third Battle of Kharkov. It was in this battle that he found himself once again a prisoner of war for yet another nation. The Germans were apparently unconcerned with how a Korean had come to end up fighting in Ukraine for the Soviets and simply took him prisoner along with hundreds of other soldiers. Again, the interesting part about Yang’s story would likely have ended here if the Nazis weren’t in the habit of allowing prisoners they didn’t execute to “volunteer” to serve with the Wehrmacht following their capture. As a result of this practise, Yang was conscripted to fight in a German Ostbataillone (literally: East Battalion) in the 709 Infanterie-Division of the Wehrmacht. Ostbataillones were small battalions of men composed of “volunteers” from the numerous regions of Europe Nazi Germany controlled. These were folded into larger units of German soldiers to serve as shock troops and backup to more experienced Wehrmacht battalions. After being conscripted to fight for the Third Reich, Yang was sent to help defend the Cotentin peninsula in France shortly before D-Day. When D-Day arrived and Allied troops successfully stormed the beaches, Yang was among a handful of soldiers captured by the United States’ 506th Parachute Infantry Regiment. Initially it was reported by Lieutenant Robert Brewer of the 506th that they’d captured “four Asians in German uniform”. While this was technically true, the 506th mistakenly believed the four men (Yang included) were Japanese. In reality, three of the men hailed from Turkestan while Yang, as already noted, was of Korean heritage.Unable to communicate with Yang due to him not being fluent in either English or German, Yang was sent to yet another POW camp, this time in Britain, where he mercifully remained until the end of the war. When WW2 ended, Yang chose not to return home, but instead immigrated to the United States where once again his story becomes hazy. He eventually ended up settling in Cook County, Illinois where he quietly passed away in 1992. (Photo credit: National Archives, USA). The guy is 24 years old and he has the look of somebody 2x his age. A no BS kind of look.